Media: Soft, glossy, laminated card, colour covers; A4 portrait format on 96 semi-gloss, colour pages including 199 photographs and 80 artworks. 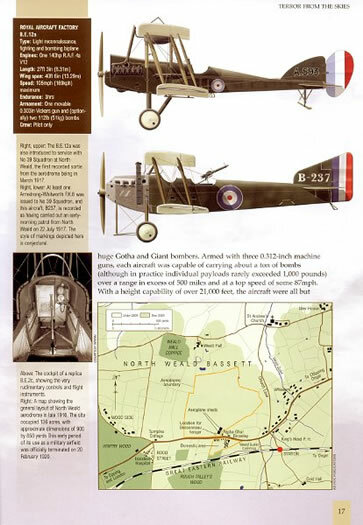 Advantages: Contemporary photographs, aircraft profiles and maps, as well as first hand accounts from those who served. Recommendation: Another accomplished volume from Ad Hoc Publications and a worthy follow-up to the first in the series. Detailed appreciation of the life and times of one of the RAF's most renowned fighter stations. 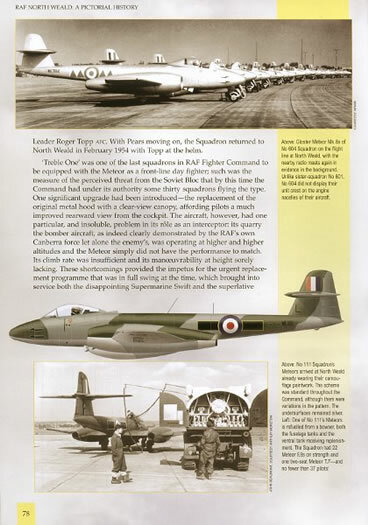 Just over two years have passed, since Ad Hoc Publications' first foray into RAF Station histories ('RAF Wattisham a Pictorial History') appeared in print. The second in this series is now out and is again penned by local historian Dave Eade, this time turning his spotlight slightly further south to the county of Essex, situated on the north side of the Thames Estuary. RAF North Weald itself (51o 43' 07'' N, 0o 09' 09'' E), lies some 14 miles West of the county town of Chelmsford, but more importantly, as we shall see, is situated only some 17 miles NE of the nation's capital, London. Following the same format as the first title, the book tells the chronological history of the airfield, from the earliest days protecting London from the Zeppelin threat in the First World War, to 'manning the barricades' against the Soviet threat during the Cold War. 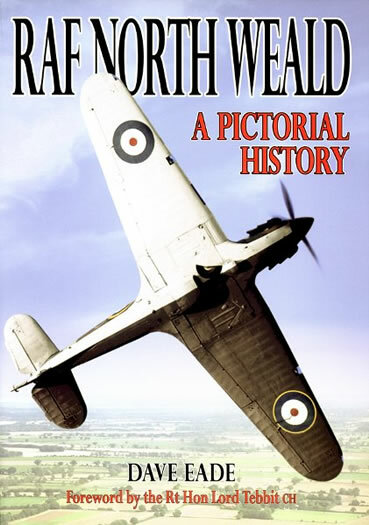 Copiously illustrated with nearly 200 mainly black & white photographs, the text is further supported by more than 50 colour aircraft profiles and by an evolving sequence of maps, showing the development of the airfield over the period. As can be imagined, each phase of the airfield's history can be marked by the 'signature' aircraft of the time; from B.E.2's, Bulldogs and Gauntlets, through Hurricanes, Spitfires and Blenheims, the story progresses to the jet age and Vampires, Meteors and Hunters. The latter also includes 'Treble One' Squadron, under (the then) Squadron Leader Roger Topp AFC, and their famous 'Black Arrows' display team which had their genesis at North Weald. Chapter headings reinforce each phase of history; after a forward by the Rt Hon. Lord Tebbitt CH (himself, a former pilot at North Weald with No. 604 Squadron Royal Auxiliary Air Force), 'Prelude' describes the build-up to conflict in the period before the Great War and 'Terror From The Skies' portrays the station's part in the struggle to protect the country and its capital against the Zeppelin menace. Moving on to the inter-war years, 'On Silver Wings' looks at peacetime flying in the nineteen thirties, leading to 'The Finest Hour' chapter, taking the reader into the Battle of Britain. 'Turning The Tide' describes the remainder of the Second World War from North Weald's perspective, returning once again to peacetime, before the rise of the Iron Curtain and the 'Cold War Jets' chapter. Now no longer an operational RAF station, the final chapter ('Present and Future') reflects on the post-RAF period at North Weald up to the present day, including; use as one of the sets for United Artists' 'The Battle of Britain' film, being the venue for various air shows including early forms of what became the Royal International Air Tattoo, developing as a centre for historic aircraft preservation and of course, now being the home of the North Weald Airfield Museum. This is another accomplished volume from Ad Hoc Publications and a worthy follow-up to the first in the series. Even sticking to iconic RAF stations, there is scope for many more of these in the future, all of which I'm sure would be well received by aviation enthusiasts and modellers alike. 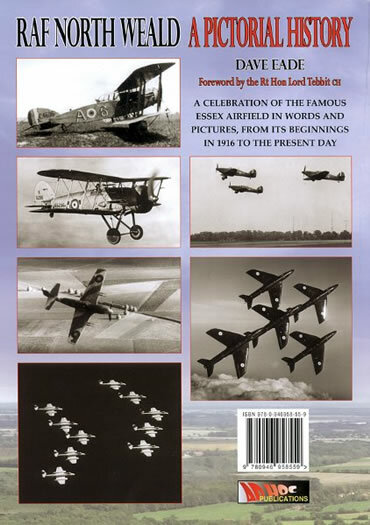 Packed with contemporary photographs, aircraft profiles and maps, as well as first hand accounts from those who served, 'RAF North Weald A Pictorial History' provides the reader with a detailed and sometimes poignant, appreciation of the life and times of one of the RAF's most renowned fighter stations. Thanks, once again, to Ad Hoc Publications for the review copy.